Following a first announcement last month, we now have a closer look at every piece from the multi-collaboration COMME des GARÇONS Holiday 2018 collection. Dubbed the Friends and CdG Happy Holidays Collection, the ten-piece capsule hosts exclusive pieces from Burberry, Craig Green, Gucci, Jean Paul Gaultier, Maison Margiela, Marine Serre, Simone Rocha, Stüssy and Walter Van Beirendonck. 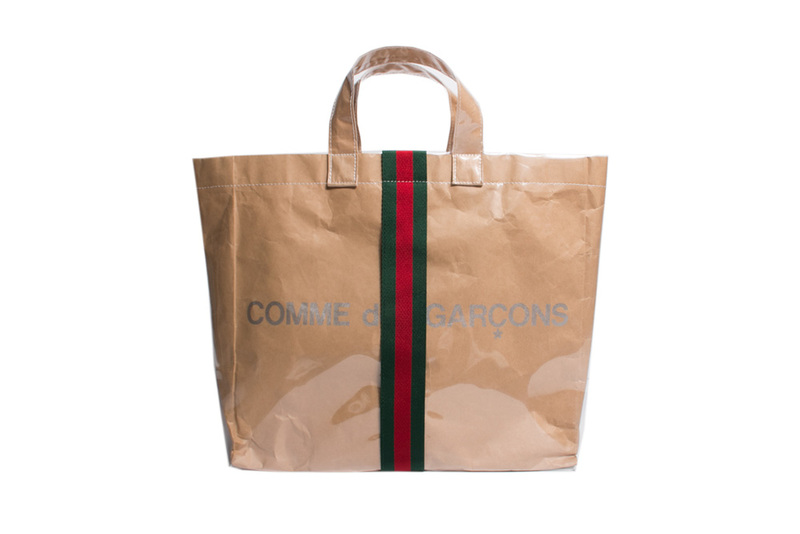 Notable pieces include an oversized and text-emblazoned Burberry check print scarf, CdG’s famous PVC paper tote bag with a Gucci stripe down the center and a Stüssy T-shirt with a classic eight ball graphic. The Friends and COMME des GARÇONS Happy Holidays collection will see a wider release on December 6 at CdG and DSM locations, as well as select retailers such as Club 21. For more special releases, visvim teams up with ICT & Contrary Dept. for holiday items.